One of the questions that every Olympian gets asked about after a successful game is what inspired them to dedicate their life to sport in the first place. So, it's only natural that people would begin asking: why did Usain Bolt start running? 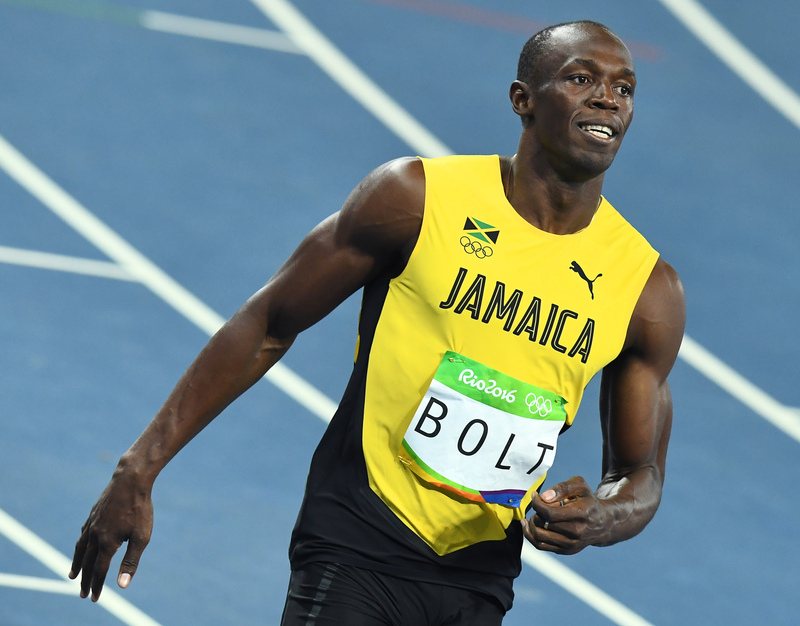 The "Lightning Bolt" from Jamaica got his start after some prodding by his parents and coaches. Bolt's first love was cricket, according to an interview he gave with The Guardian in 2010. He played in high school, but after demonstrating considerable speed on the pitch, his father ended up encouraging him to forget cricket and start focusing all of his efforts on the track. As Bolt told The Guardian, "He said I should do running because it's an individual sport, and if you do good, you do good for yourself." But Bolt had already been a stand out on the track when he was only in primary school. At the age of just 12, Bolt was already the fastest runner at his school in the 100-meter dash. Pablo McNeil, the high school coach who helped get Bolt into top form, told the Jamaica Gleaner, "He was running some phenomenal times before he was even 15," before giving the inside scoop on what part of his training program looked like, when he said "I have never shown him my stopwatch, lest it gets to his head." However, just because the 29-year-old sprinter is at the top of his sport after this Olympic games, that doesn't mean that he in any way is sitting around on his laurels. If his athletic prowess wasn't already apparent enough, Bolt has been saying for quite some time that after Rio, he wants to try out his hand at professional soccer, or football to those outside the confines of the United States. Reconfirming his statements to The Guardian from 2010, in 2012, BBC Sport reported that Bolt said "I always wanted to try to play soccer. Maybe at the end of my career. It would be something that I would love to try." There is also talk of the sprinter returning to his roots on the cricket pitch. No matter what sport the Jamaican phenom decides to have a go at following his standout performance in Rio this year, it seems pretty clear that he'll tackle the new challenge with everything he's got. And it all started after some positive encouragement from his father and the kind words from his coaches that gave the "Lightning Bolt" his charge.